Mission: The Southeast Missouri State University Board of Regents works toward the preservation and enhancement of educational quality; prudent stewardship of University assets; planning of programs and allocation of resources to serve most effectively the higher education needs of the region; establishment and maintenance of a strong system of accountability to the public; advocacy for the value of higher education to the State and to its citizens. 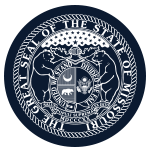 Function: The Southeast Missouri State University Board of Regents governs the university. The members appoint the President of the University, employ faculty and staff, and make budgetary and policy decisions necessary to implement the University's mission.